With a single button press, data is transferred from the instrument to GSI Suite, where it is stored or a report may be generated. 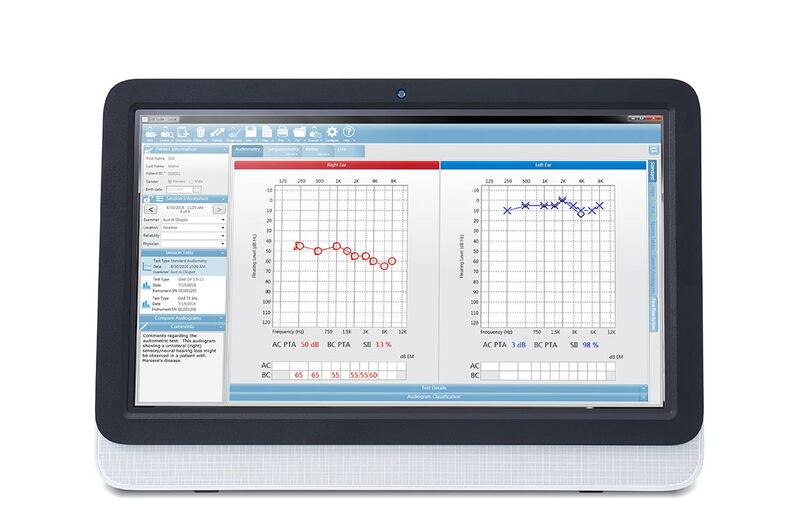 Audiometric, tympanometric, and OAE test results are combined into predefined or fully customized report templates. GSI Suite is supporting the needs of the contemporary clinic. Compatible with: AudioStar Pro, Pello, TympStar Pro, Corti, AMTAS, GSI 39 and other legacy products. Create an unlimited number of report templates to satisfy all possible test conditions. Define file type (pdf, jpeg, tiff, xps) and locations to save files with a single click. Powerful Custom Report Designer or select from a variety of pre-defined report templates. Test results saved in a compatible format (PDF, XPS, JPEG, TIFF) for attaching to an EMR/EHR. Counseling overlays for immediate feedback to the patient. 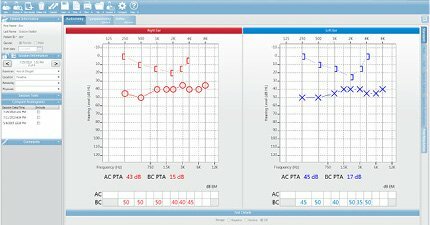 Audiometric tympanometric and OAE results stored in one place. 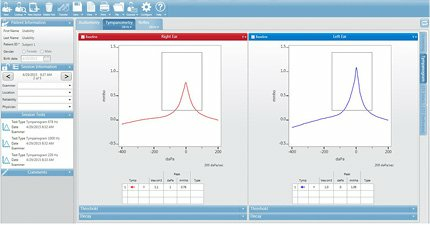 Network data from multiple instruments by combining GSI Suite with OtoAccess or Noah 4. Counseling overlays assist the clinician with counseling patients about results of the hearing evaluation with visual aids. Select the counseling overlays drop down to select from 4 options: phonemes, speech banana, common sounds and hearing loss level.